Out of medical supplies in-game? Use Google Maps to replenish your stock. 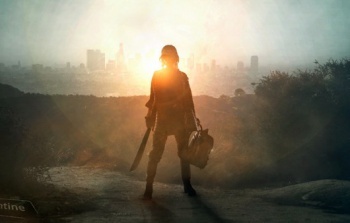 Former Infinity Ward creative strategist and Robotoki founder Robert Bowling is promoting his upcoming game Human Element, a zombie apocalypse game that will be both cross-platform and cross-genre. While details about the game are pretty scarce, Bowling recently opened up about cross-platform features he'd like to implement. Specifically, he wants to see the actions of mobile users in the real world impact how resources are gathered in the game world by linking Google Maps and Foursquare to your character. "Say you're at home, you're playing Human Element, you're out in the world, you get injured," Bowling said in an interview with Games Industry International. "You don't want to risk going out to forage in the game world, or maybe you did and can't find anything, but you know that there's a pharmacy four miles down the road in the real world. So you go out and you're out and about in the real world. You open up Human Element on your iPad." Using Google maps and FourSquare API, players will be able to hunt for real-world resources and "scavenge" them into the game world, even sending them back to your character on a PC or console version. Presumably this real-world scavenging would go beyond medical supplies; grocery stores should allow players to gather food while gun shops would provide weapons and ammunition. "We're taking your real world and merging it with your game world," Bowling continued. "We can do that anywhere there's GPS map data." Human Element's PC and console versions will present an open-world survival experience with RPG elements, but Bowling says that mobile versions will focus instead on resource management. While players could purchase the game on multiple platforms to gain resource sharing benefits, Bowling believes a more practical solution would be to team-up with friends who prefer a different version. "Say my girlfriend doesn't want to play the console experience but she wants to play on iPad ... If we have an alliance she can play the resource management game, that scavenging mechanic, and she can be benefitting my game by sharing supplies with my survivors." Human Element is set for a 2015 release, so we're still a long way away from seeing whether the actual game can match the ideal that Bowling imagines. There may also be privacy concerns to address if those you play with are capable of tracking down personal information through your linked Google and Foursquare accounts. Those concerns aside, the idea of combining multiple play-styles and real-world interactions into the same gaming experience is a promising one.